Back from my spain vacation! You asked for it, I told you I didn't watch the movie, you wanted it anyway, so here is my version of a Snowy Wasteland. 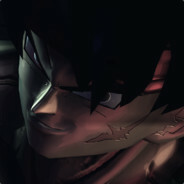 https://discord.gg/zcrxkYg - if you want to contact me. Install the X2M to have the stage selectable in matches. Merge the included Data folder with yours to have this stage replace the original Wasteland, so you can also see it in story type missions. you dont like the brightness of the snow, reduce the glare in advanced graphic settings.